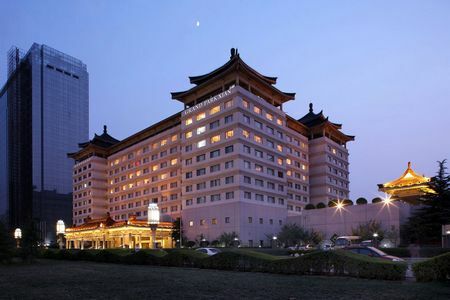 Located in the heart of Xian city, Grand Park Xian is a 5 stars hotel which located close to the south gate of Ancient City Wall. 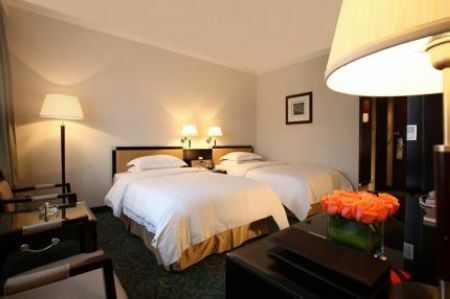 In total, this luxury hotel offers 298 guest rooms and suites which located within walking distance from main tourist attractions in Xian. 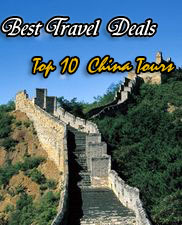 This hotel is also located 15-minute walk from the Bell and Drum Tower and Beilin Museum. 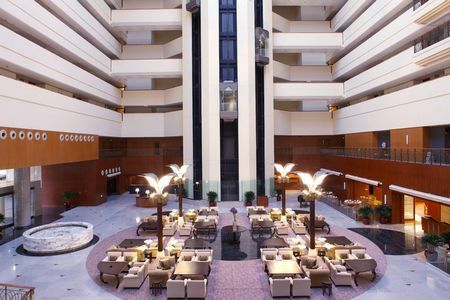 Grand Park Xian provides complete luxury facilities and best service. In each hotel rooms equipped with LCD TVs, broadband Internet access, voice mails, tea/coffee-making facilities and mini-bars. With exquisite bars and restaurants, make yourself comfortable with world class gourmet and facilities offerings at this hotel. 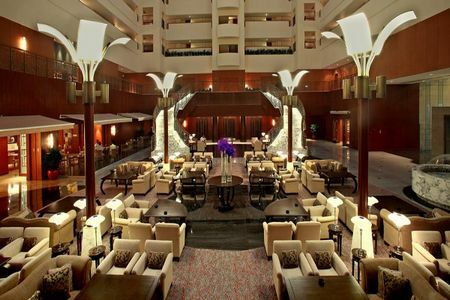 Grand Park Xian welcomes each guest to experience rich choices of four restaurants and lounge. Experience how delish Cantonese cuisine in the Park Palace Restaurant. With oriental design style and atmosphere, it offers rich Chinese cuisine local flavours, textures and tastes. More than that, Grand Park Xian also provides a lobby lounge, an ideal place for afternoon teas and a trendy casual restaurant called Veranda Café. Grand Park Xian also provides many hotel facilities such as, games room (mahjong room and card room), car park, laundry services, 24 hours room service, sports and recreation centre with sauna, currency exchange, and many others. Not only suitable for its leisure and relaxing function, this luxury hotel also provides lot of business facilities and halls. Grand Park Xi'an includes a 440-square meters ballroom which could divided into three separate areas and in total could accommodating up to 480 people. Moreover, there are seven additional meeting rooms that can accommodate from 15 to 240 people. The newly renovated ballroom and all meeting rooms are equipped with hi-tech audiovisual equipment with catering services available. Property Amenities: car park, laundry services, 24 hours room service, games rooms, meeting rooms, ballroom, sauna, restaurants, lounge etc. Note: Following Prices already include Taxes and Service Fees, No other Hidden Fees! Rate in RMB is fixed, other currencies are calculated automatically according to current exchange rate.